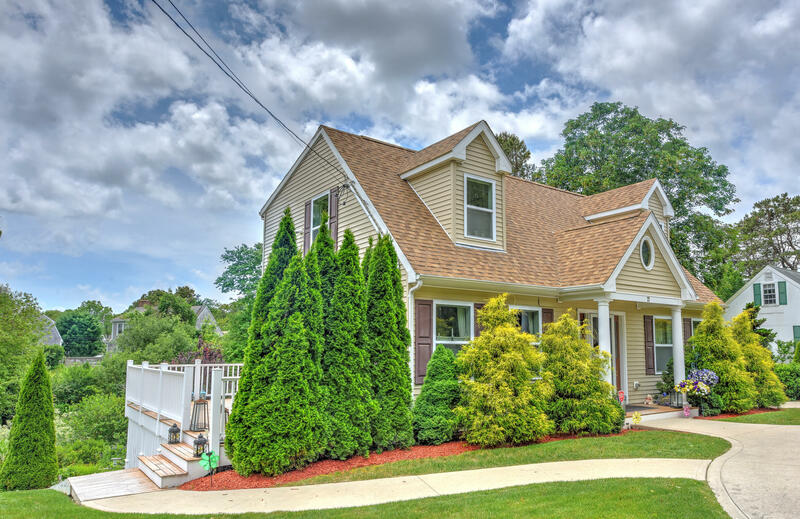 Young Cape, easy care vinyl siding, with all the bells and whistles. 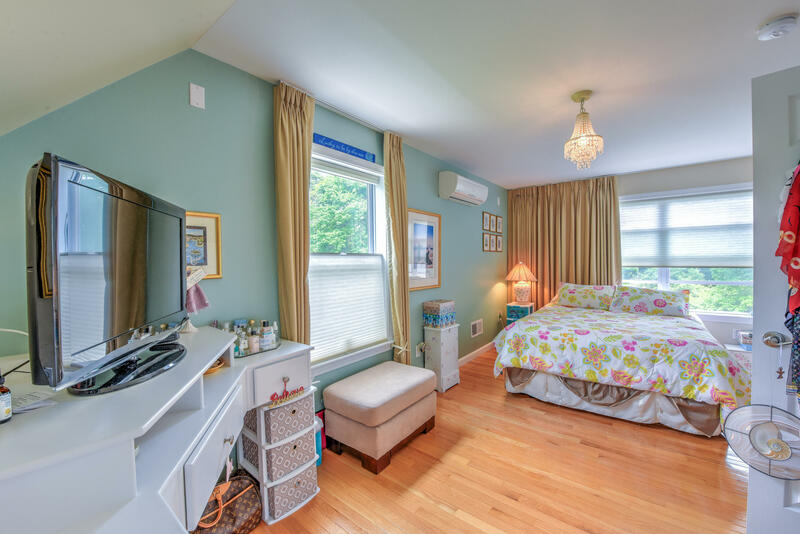 Tucked into charming established neighborhood this pretty home is ''move in ready'', space for guests. 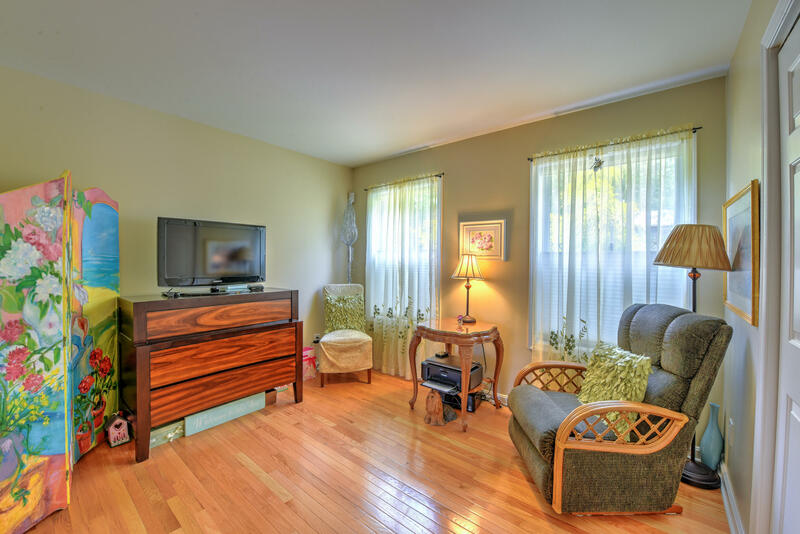 Cozy Living & Dining Room, Granite Counters, Kitchen with Stainless Appliances, First Floor Bedroom with Den. 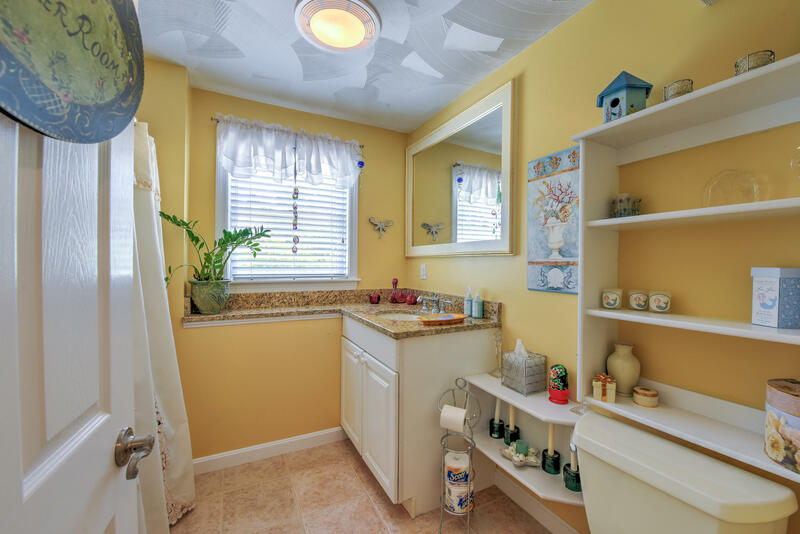 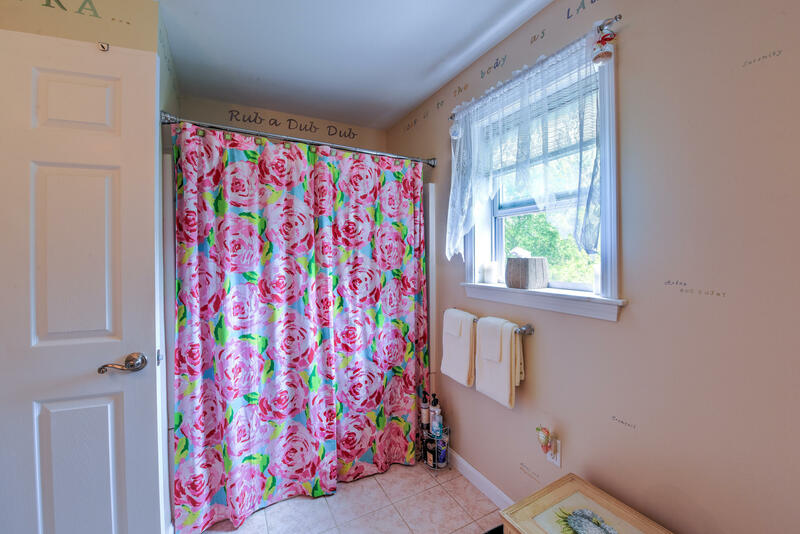 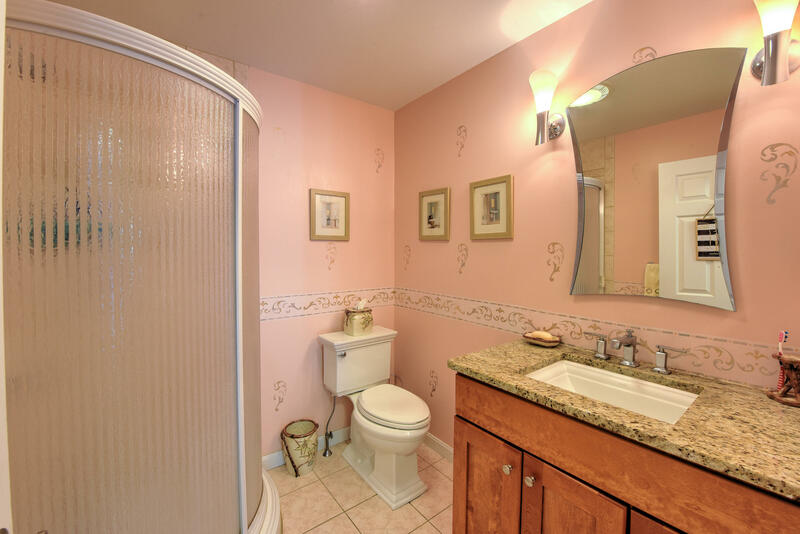 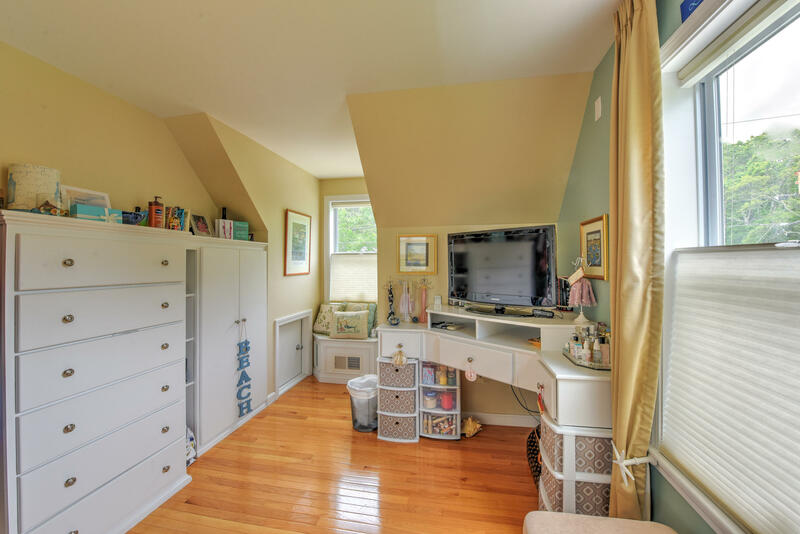 Second floor bedrooms,with window seats, share Double Sink Vanity bath. 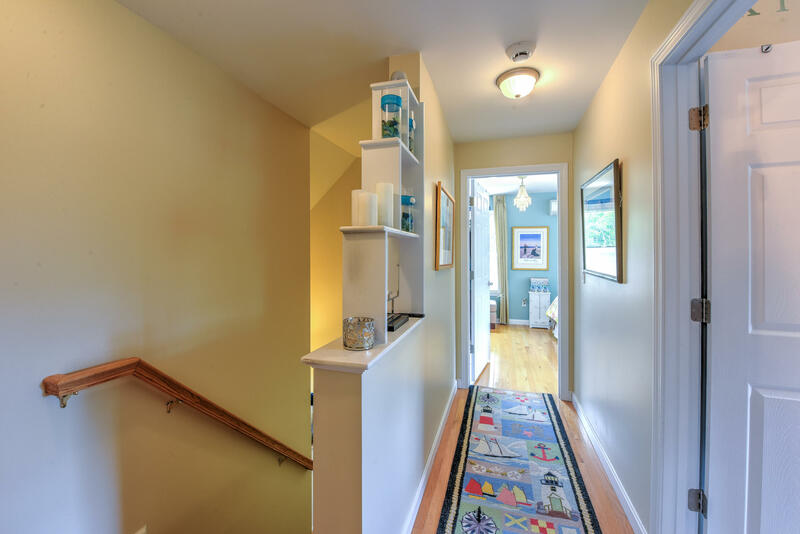 Light & Bright lower level Family Room with Gas Fireplace, Laundry Room with HEWasher and Dryer. 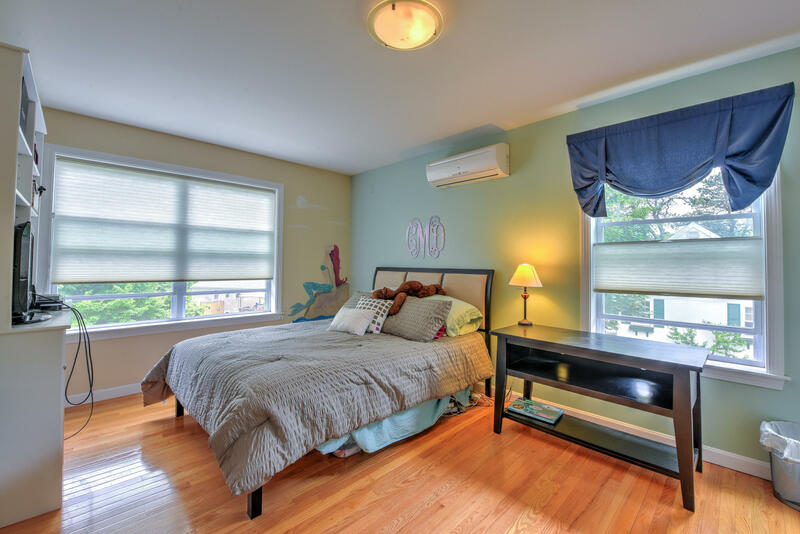 AC,hardwood floors throughout, tile flooring in baths & Family Room. 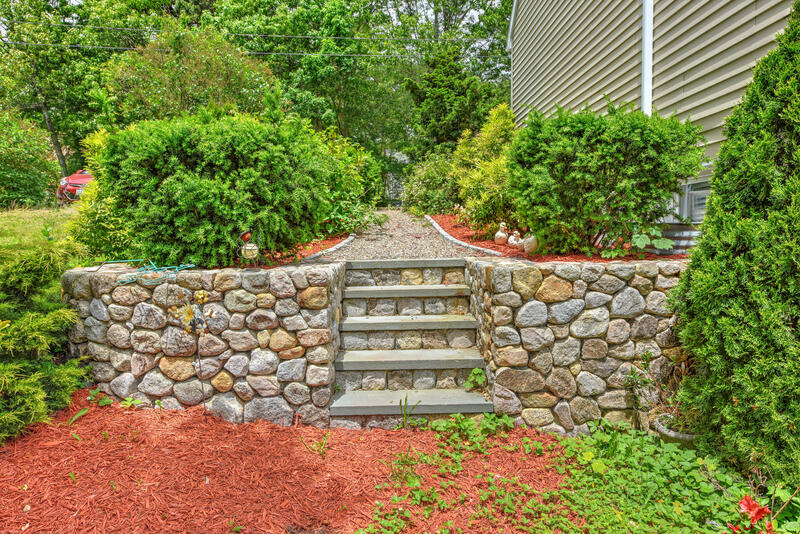 Mahogany deck, Stone Patio, Stone Walls, beautiful mature plantings, professional landscaping, turn around driveway. 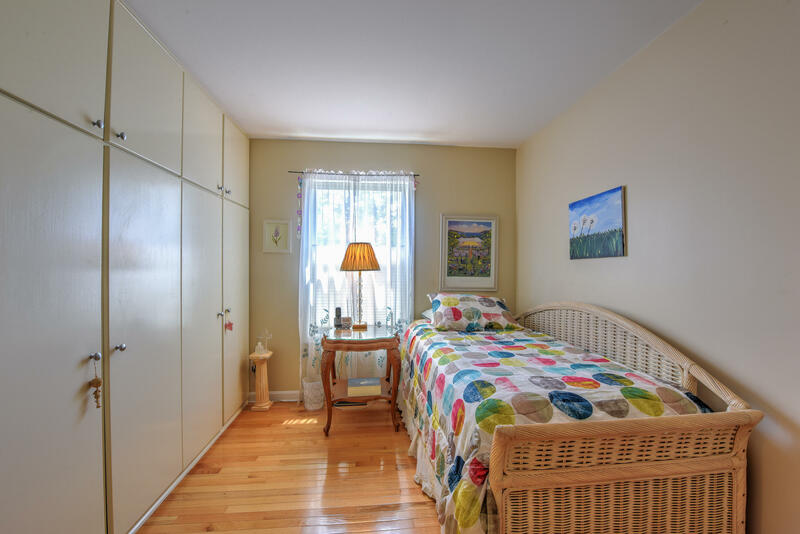 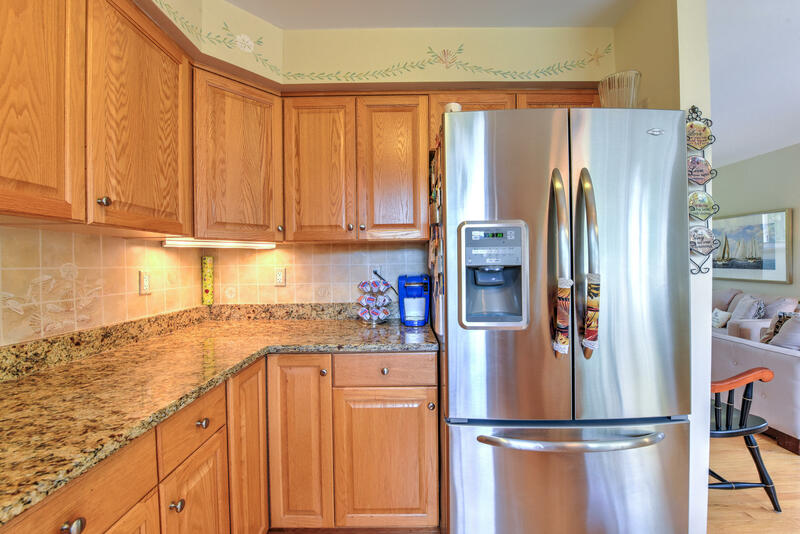 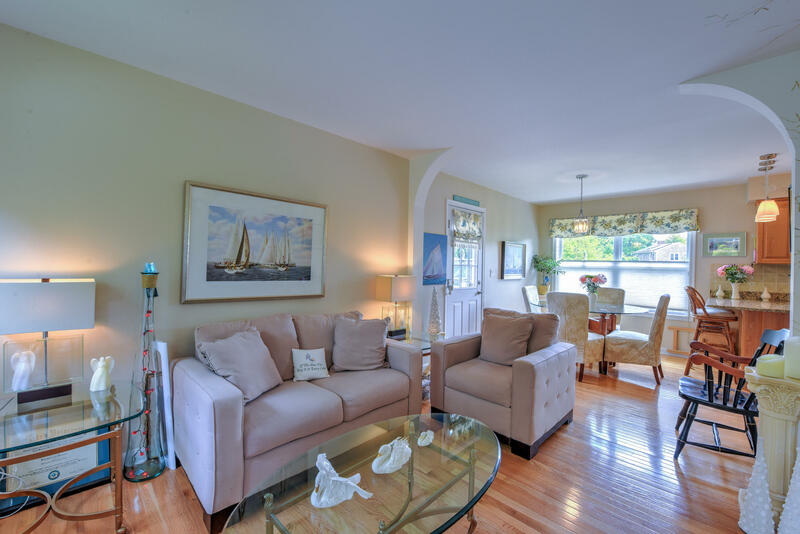 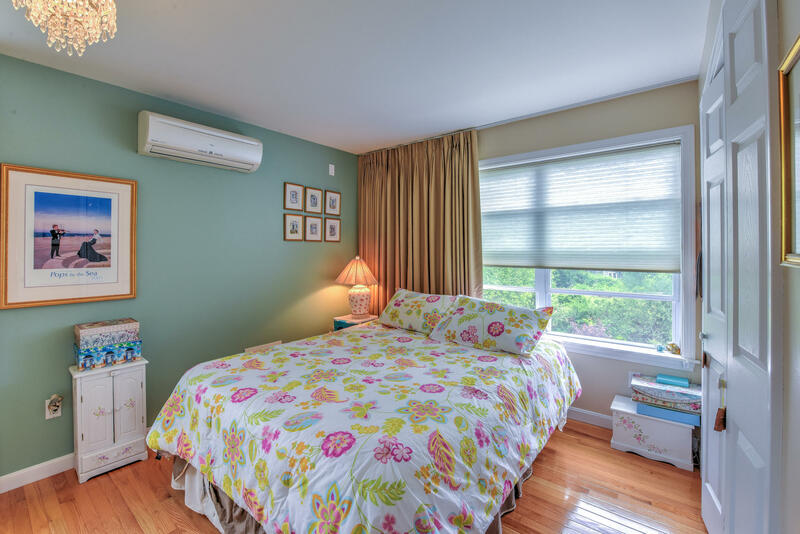 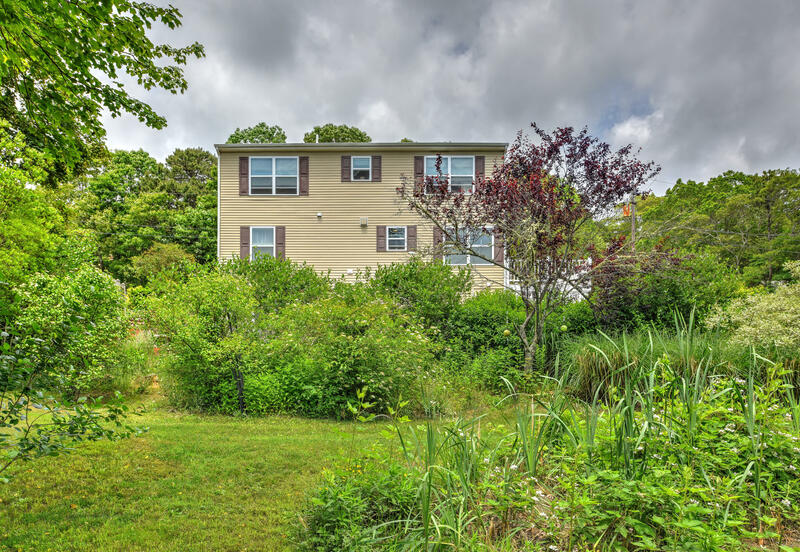 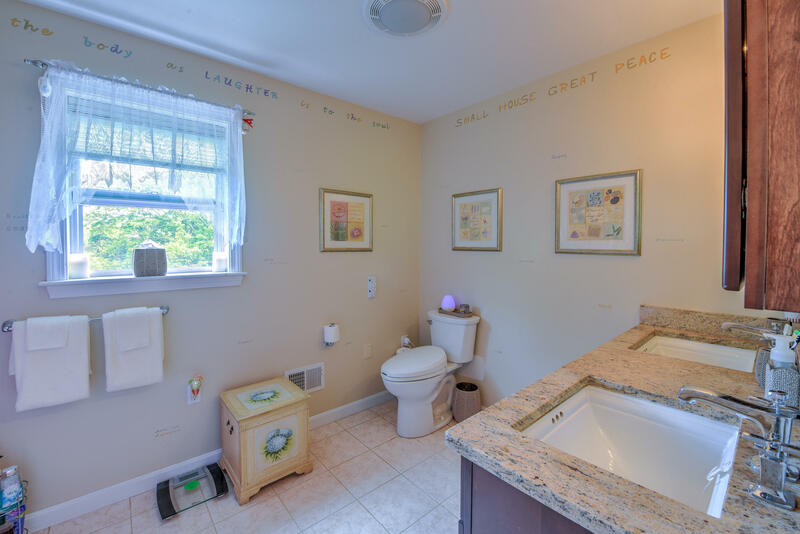 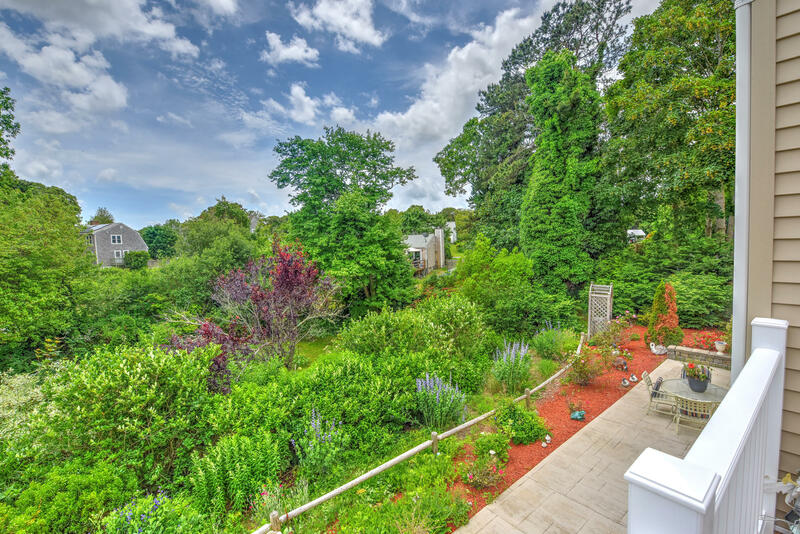 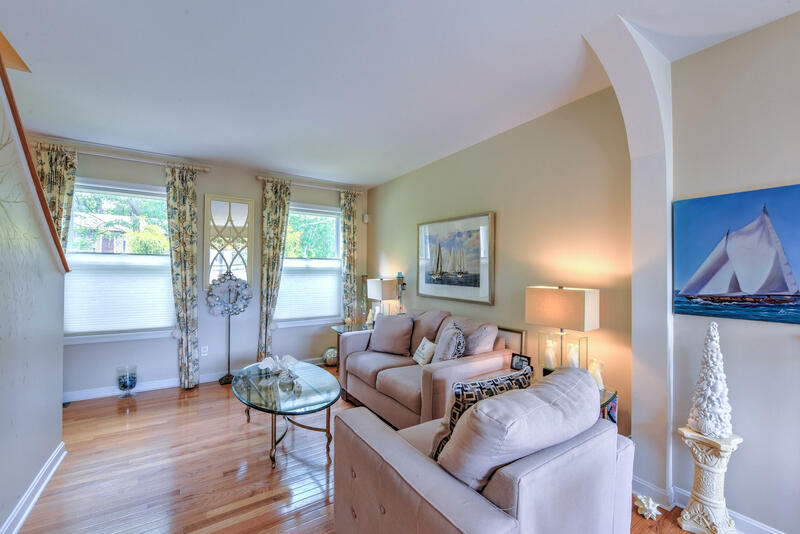 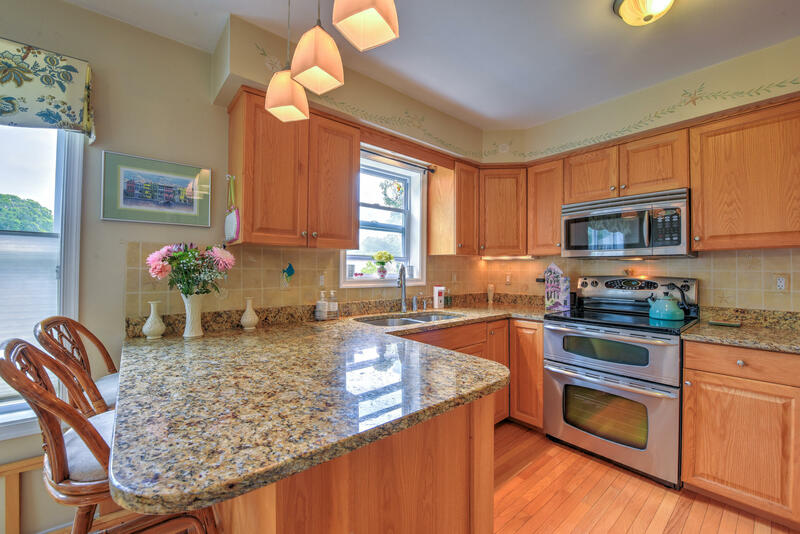 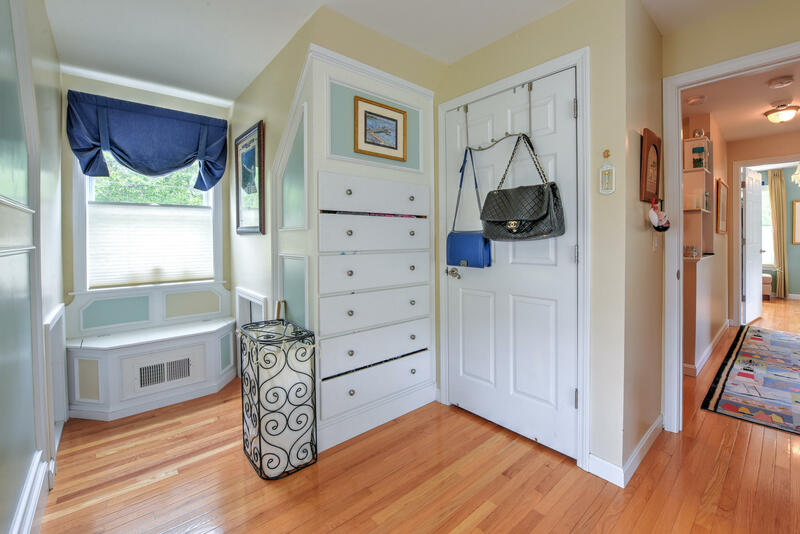 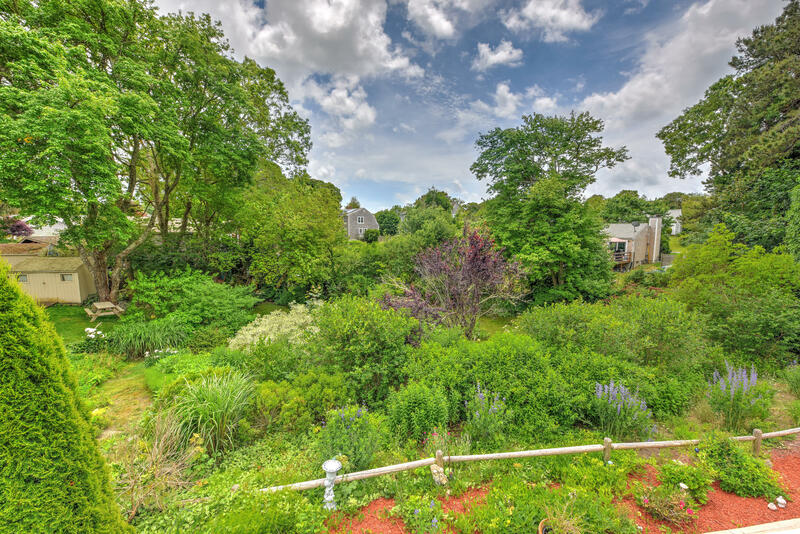 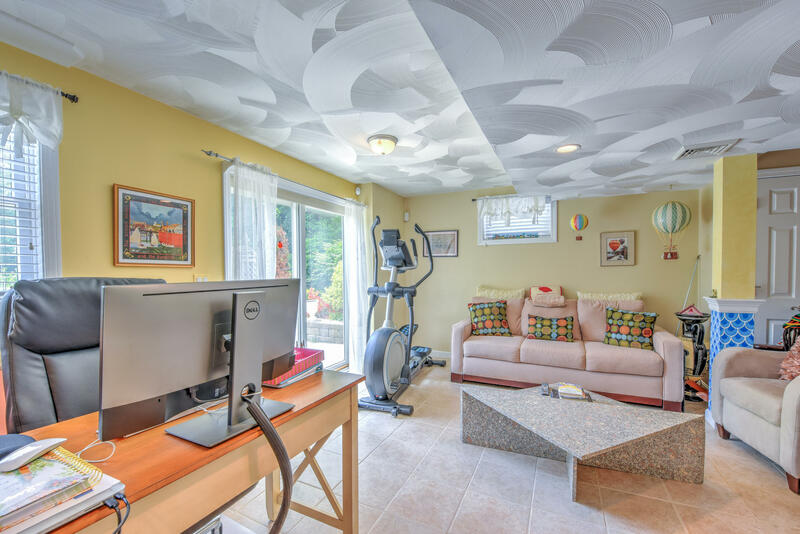 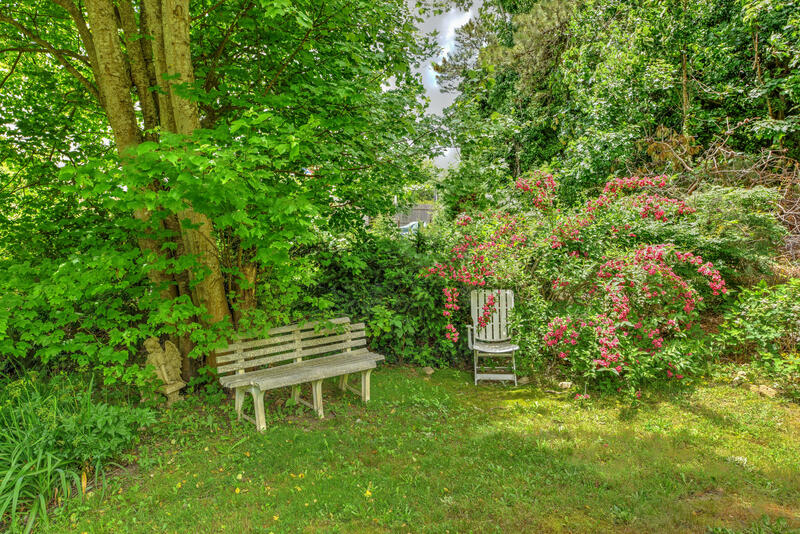 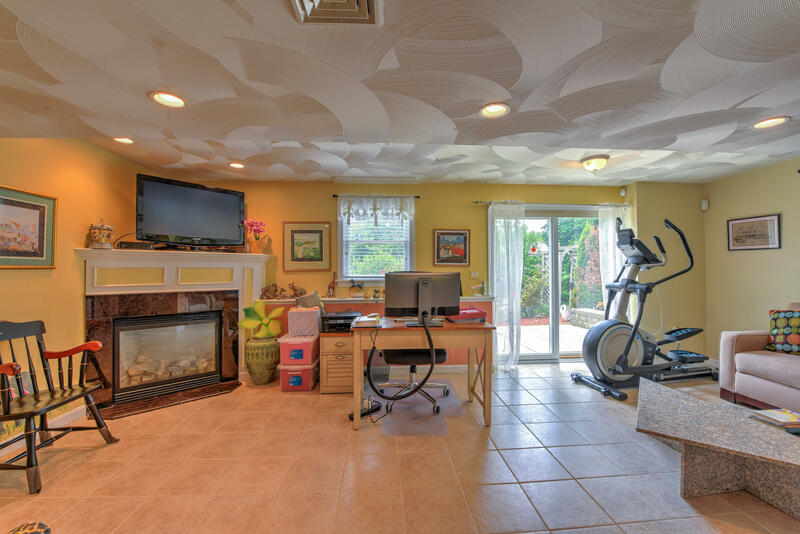 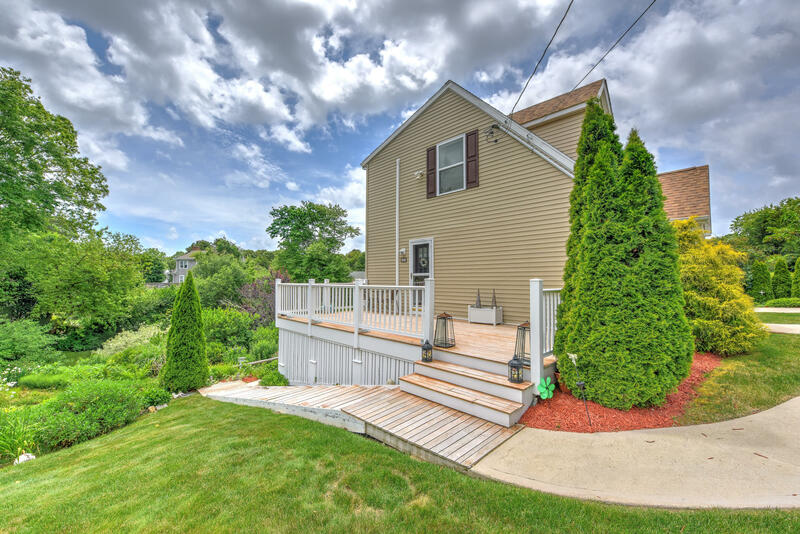 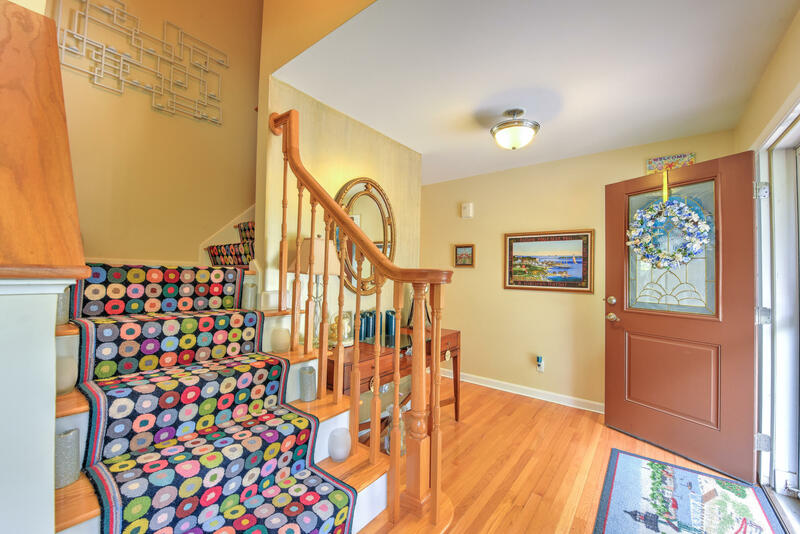 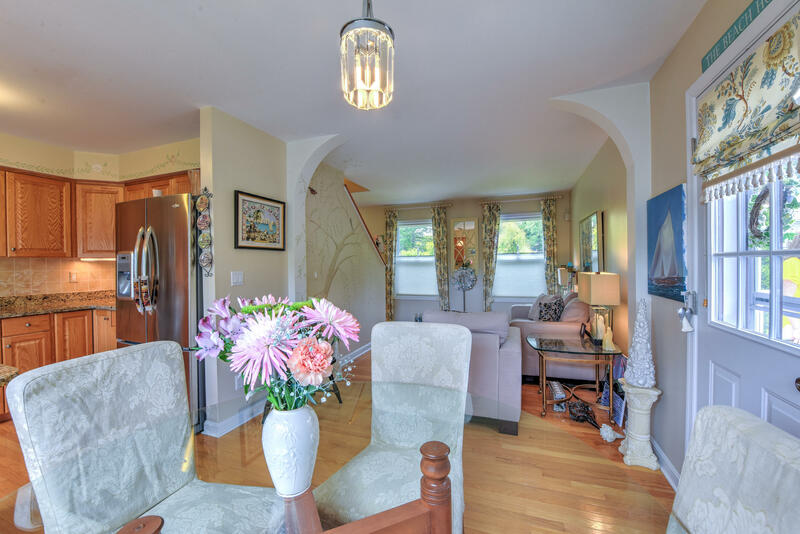 Serene setting located close to schools, recreation, shopping, highway, Cape Cod Hospital. 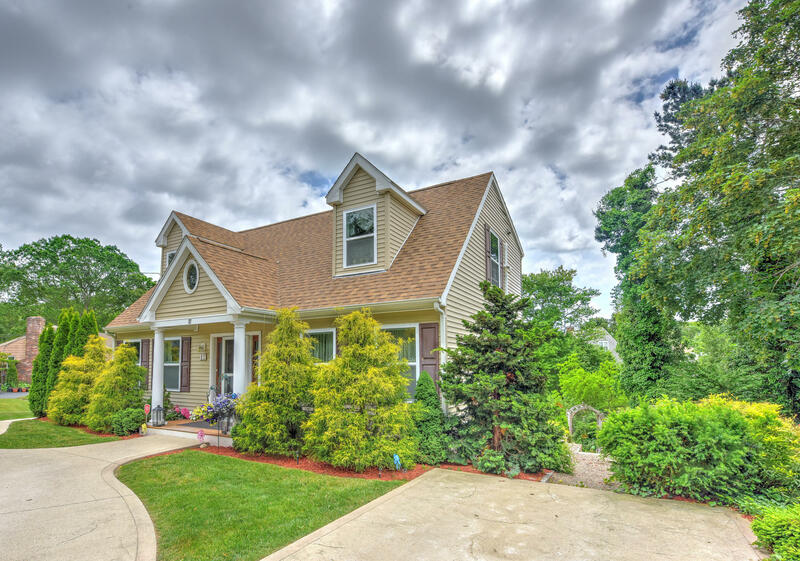 Buyer or Buyers agent to verify all information contained within.